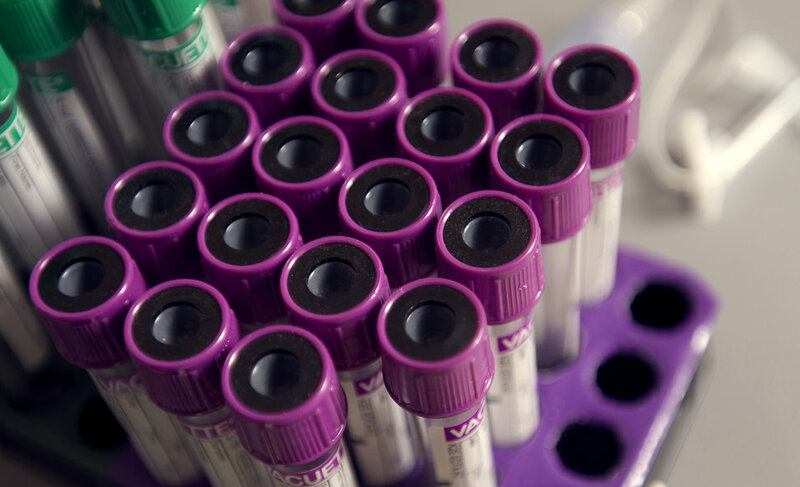 Bowel cancer can now be detected earlier and more accurately with a simple blood sample. UPDATE 31/8/17: Congratulations to our Colvera team on winning the 2017 Eureka Prize for Innovation in Medical Research! Every year in Australia around 15,000 of us will be diagnosed with bowel cancer – a cancer of the large bowel that is sometime referred to as colorectal cancer. A diagnosis often leads to surgery and treatment, and for many, ongoing monitoring for years to come. For patients and their families, recurrence of the cancer is one of the greatest worries they face following treatment. This isn’t surprising when you consider they have about a 30 to 50 percent chance that the disease will recur. The current method for monitoring recurrence is through a blood test for CEA (carcinoembryonic antigen) and regularly scheduled CT scans. Unfortunately CEA, a forty-year-old test, has not proved to be as effective as many doctors would like to see and is also subject to false-positive results for non-cancer related events, such as smoking – causing added stress and worry to patients. Many patients, their families and medical professionals will welcome a significant development in the monitoring of bowel cancer. Working with our partners Clinical Genomics and Flinders University, we have created a new and more accurate way to monitor for recurrence of the disease, and it’s a simple blood test. Known as Colvera™, it has just been released in the US and is hoped that it will be available in Australia as early as next year. Colvera can indicate early molecular changes associated with cancer development. Studies have shown it to be nearly twice as effective as CEA. What will Colvera mean for patients? With this new test, patients who have already been through their initial diagnosis and treatment will have a much better chance of having any recurrence of bowel cancer detected early – giving their doctors the best information possible to act on. Ultimately, the aim is that Colvera will ensure more lives can be saved from bowel cancer – providing more hope to thousands of people who are living with this disease now and in the future. My father died from bowel cancer at age 65 years, his mother was in hospital with bowel cancer when she died of a heart attack in her 70’s. Both of my father’s sisters had bowel cancers surgically removed then lived into their late 80’s. Twelve years ago my youngest son, then aged 28 years, was diagnosed with bowel cancer and had 30cm of his bowel removed. He has been closely monitored and has now been cancer free for 12 years. I have had 4 yearly colonoscopies since I was 21 years when I was diagnosed with Ulcerative Colitis (and prior to my father and two aunts being diagnosed with bowel cancer. Then in 2012, I had a cancerous polyp removed during a Colonoscopy, and this cancer was found to be the same type as my son’s cancer, when tested via Genetic Counselling through Hunter Health. I am now 70 years old, and having a bit of a struggling to get a Colonoscopy through the public health system, having had to withdraw from Private Health Cover last year for financial reasons. (My last Colonoscopy was due in October 2015 and is now well overdue). This blood test would be wonderful for our family, particularly my son and his young daughter who have been recomended regular Colonoscopies from age 18 years. THANK YOU SO MUCH, CSIRO, FOR YOUR WONDERFUL LIVE SAVING RESEARCH❤. By the way, my father worked for CSIRO in Melbourne for most of his life, so you are very special to me. Is the new diagnostic test suitable for those who have not previously had colon cancer? My biological male parent was dead at age 56 from colon cancer …Recently , I received an invitation to be a part of a govt funded project to detect if I have any form of bowel cancer . If this project is fair dinkum , my result was Negative and I shall soon be 65yo .